Xiaomi shipped 23.16 million smartphones in the second quarter of 2017, a 70 percent spike from the previous quarter, Lei Jun, founder of the tech company told chinadaily.com.cn Friday. 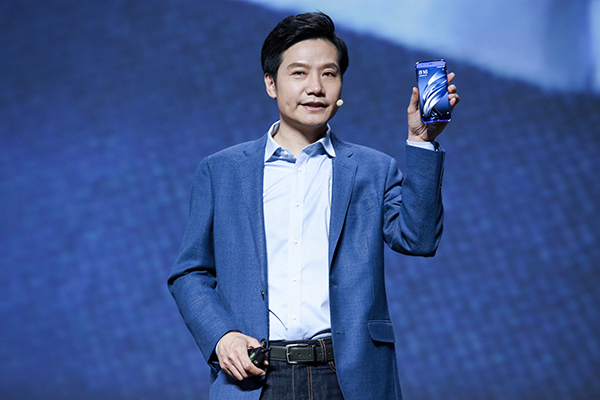 "This achievement signifies a major inflection point in our growth — after two years of internal recalibration, Xiaomi is once again embarking on a rapid growth trajectory," Lei said. He has set "another humble goal" of shipping 100 million smartphones in 2018. Lei said the second quarter shipment was a significant milestone for Xiaomi as no other smartphone company globally had been able to return to growth after a decline in sales. Jin Di, a research manager with IDC China, said she has noticed Xiaomi's recent growth although the research firm is yet to release figures on shipments of major smartphone vendors for the second quarter. She said the company's efforts on research and development have had an overall improvement for its smartphones. Lei himself also attributed the turnaround to pursuing technological innovation， adding that the company's increased investment in research and development was bearing fruit. In February, Xiaomi launched Surge S1, a chipset designed and developed in-house, and the Mi 5c equipped with Surge S1. Lei said the company was once well-known for its online sales model, but has upgraded to a new retail model, integrating online and offline platforms. The company has opened 123 Mi Home stores across China. Lei added that the company's international expansion is also helping the company grow, citing India as an example. He said Xiaomi's revenue in the first half of the year in India increased 328 percent year-on-year but did not reveal the revenue figures. IDC China's Jin believed that Wang Xiang, who worked with Qualcomm before he joined Xiaomi to lead its international business, has helped the company to gain a firm foothold in overseas markets, especially in Asia. Lei also revealed that in the next 12 months, the company will hire thousands of R&D talent. Lei said he is confident that the company can achieve its goal of generating 100 billion yuan in revenue this year.